Happy Friday, everyone! I promise, I have a couple more interviews that are in the works, but in the meantime, I thought I would share a recipe with you! 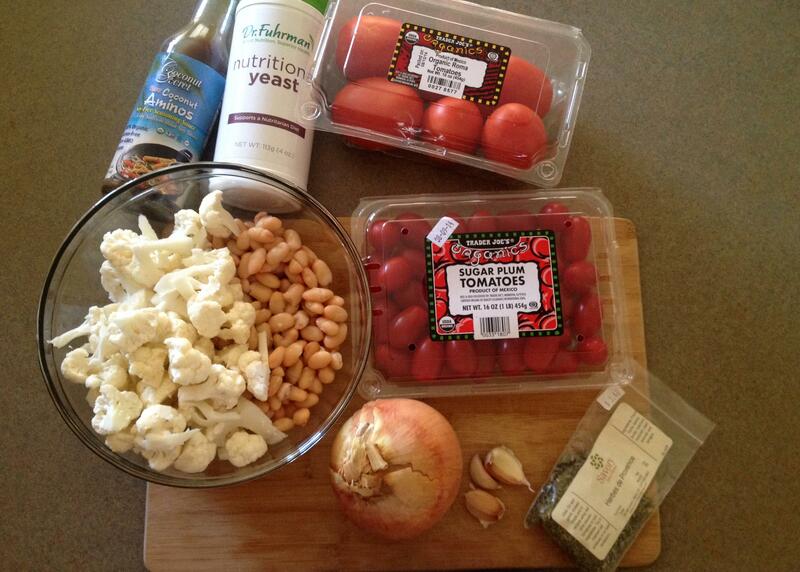 I got the inspiration for this recipe after I made Kitchen Treaty’s Crock Pot Buffalo Cauliflower Chili. When I made it, I prepared a separate batch for Willow (minus all the hot sauce and chili powder) and I blended it – otherwise she picks out most of the veggies. Willow’s turned into this creamy flavorful soup and I thought, wouldn’t this make a delicious pasta sauce?! So a couple of days ago, I experimented and Willow LOVED it! Not only is this loaded with veggies, protein and flavor, but YOU also get to control how salty or sweet you want it. On medium heat, in a large pan, heat 3 TBSP of broth and 1 tsp. coconut aminos. Add the onion and sauté until tender (about 5 minutes), adding more broth or water if needed. Next, add the tomatoes, minced garlic, and 3 TBSP of broth to the onion. Cover and cook on medium-low until the tomatoes soften (approx. 10-15 minutes), stir occasionally. 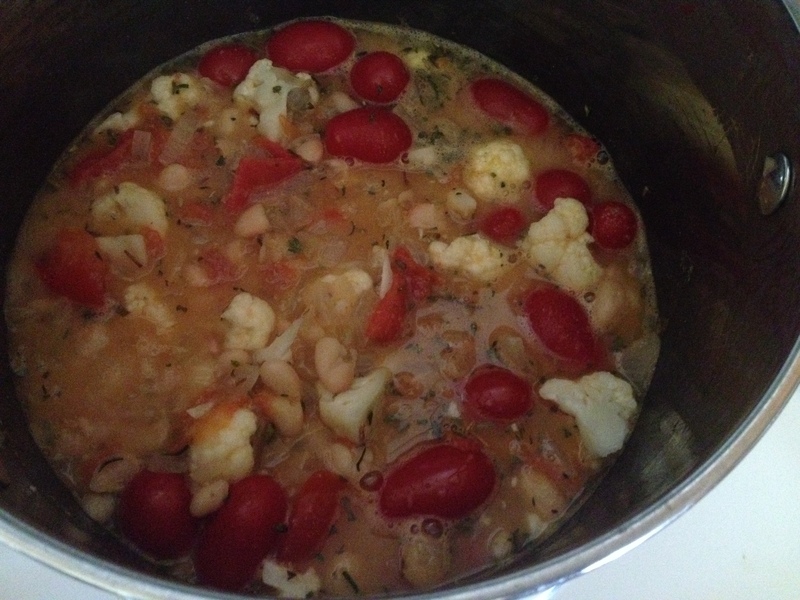 Add the tomato mixture, along with the cauliflower, beans, 2 cups of broth, nutritional yeast, herbs, and garlic powder to a large pot. On medium heat, bring the mixture to a boil, stirring occasionally. Cover and lower the temperature to medium-low. Cook for 25 minutes or until cauliflower is tender, stir occasionally. 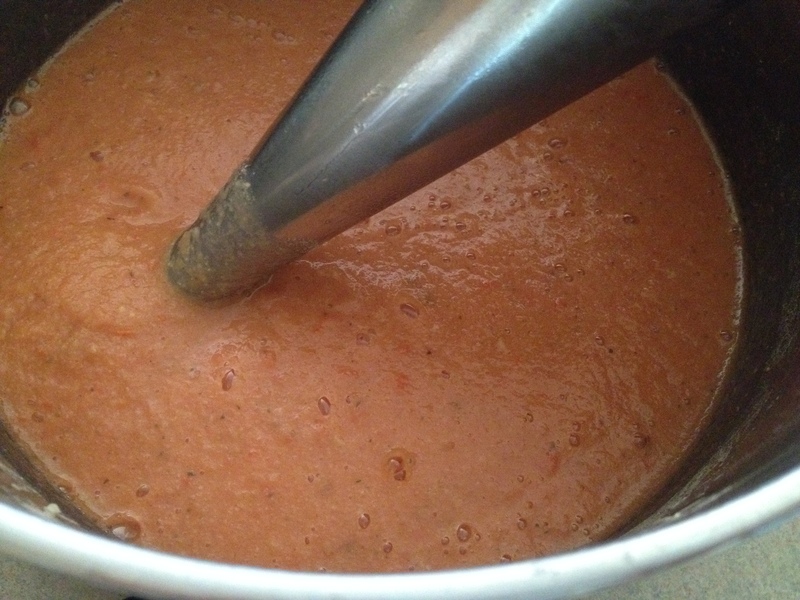 Once the cauliflower is tender, remove the pot from heat and using a hand immersion blender, puree until smooth. Salt to taste and add coconut sugar. Return to stove on low heat to thicken while you cook your pasta. 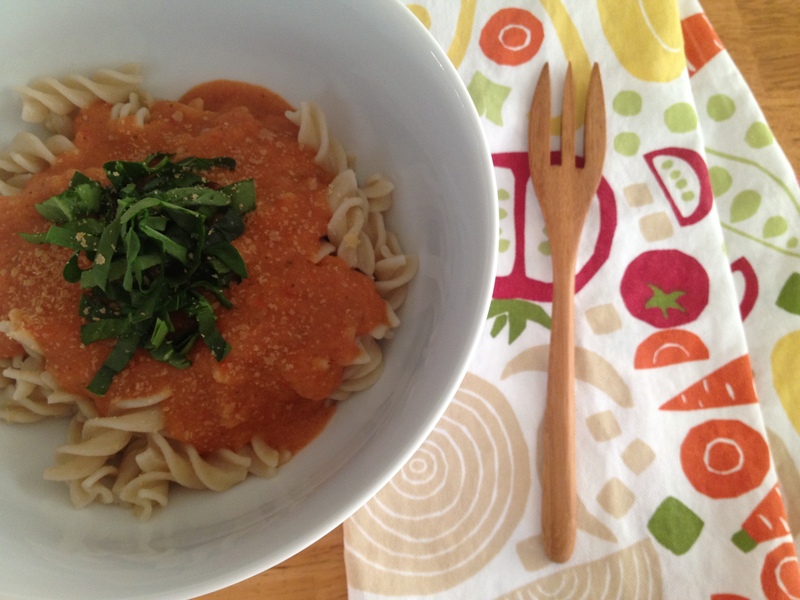 Serve hot with your favorite pasta and ENJOY! Since we keep the flavor mild for Willow, we like to add some hot sauce to our plate. 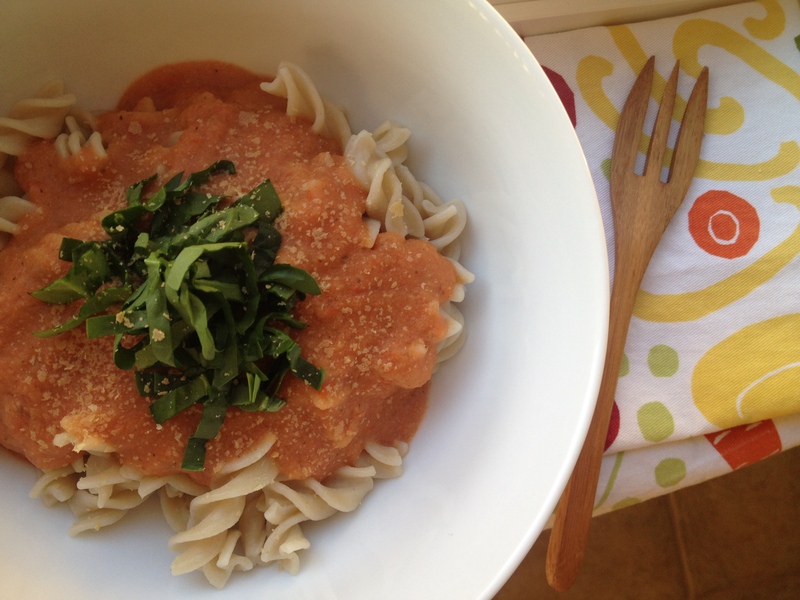 We topped ours with raw chopped spinach and extra nutritional yeast. 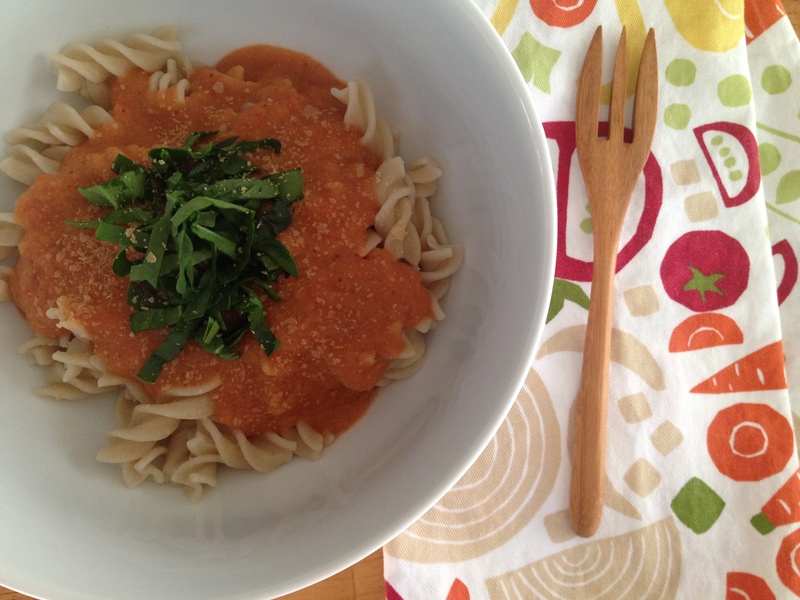 We had plenty of leftover sauce to reheat the next day, but you can easily freeze this for future meals, too!